Today here at Albion Calling I am interviewing one of the rising stars at the forefront of the academic study of Western esotericism, Norway's very own Dr. Egil Asprem. Currently Associate Professor at the Norwegian University of Science and Technology, he has a PhD from the University of Amsterdam and has published on a wide variety of subjects, including his own monograph, an edited anthology, and a selection of papers in such peer-reviewed journals as Aries, The Pomegranate, and Magic, Ritual and Witchcraft. Many readers will probably be aware of him as the man behind the Heterodoxology blog (if you don't follow it, do so!) or as the co-founder of the Contemporary Esotericism Research Network (ContERN) who recently held their first conference at Stockholm University. We discuss the long path that he took to get where he is, and the current and future state of academic studies into Western esotericism. 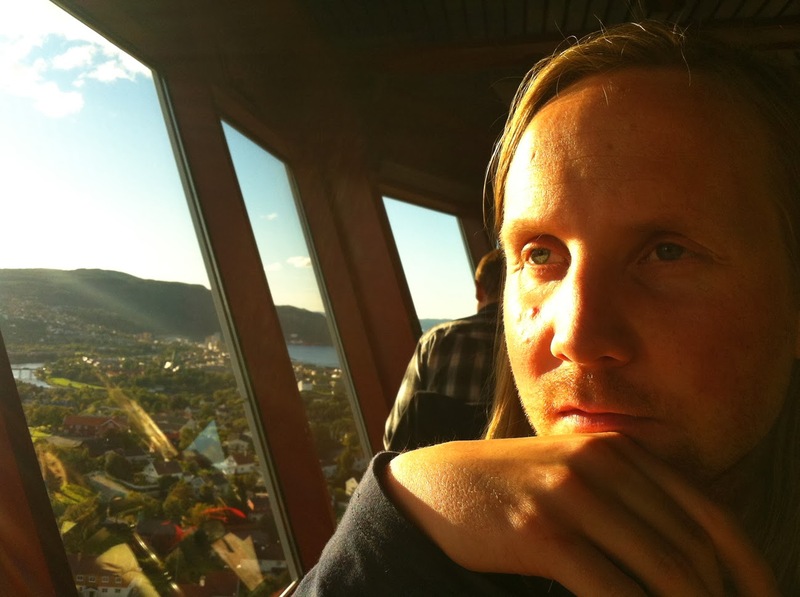 EDW: You are currently Associate Professor at the Norwegian University of Science and Technology's (NTNU) department of Philosophy and Religious Studies, having recently received your PhD from the University of Amsterdam's Center for the History of Hermetic Philosophy and Related Currents. Can you tell us a bit about your academic trajectory and how you reached where you are today ? It's been a pretty straight trajectory from when I first set foot in a university about ten years ago. I did a double BA in religious studies and philosophy at NTNU in Trondheim, where I'm currently filling a vacancy this autumn. Funnily enough, the religious studies and philosophy departments were merged on the very same day I came back, so it's been a sort of double home-coming. In 2006 I went to Amsterdam for the MA program on Western esotericism, and was lucky enough to win a "TopTalent" scholarship with the Dutch science foundation (NWO) to continue on to a PhD. I ended up staying at the Center for History of Hermetic Philosophy and Related Currents for a total of seven years. Through most of this time –– starting already in my BA –– I've been busy trying to turn as much as possible of what I've been working on into publishable material. I think this has turned out to be a very rewarding strategy, for getting involved with new projects, succeeding with applications, and things like that. EDW: What is it that made you want to become a professional academic, and in particular what attracted you to the history of religion, history of science, and the history of Western esotericism, the three fields within which your work largely fits ? Well that's a fun exercise, backtracking ones decisions and aspirations. I didn't really plan on becoming a "professional academic", but once you've truly entered that world, there's no real alternative anymore. If you want to continue doing research, the academic route is an obvious choice. But the field was maybe not so obvious all along. I seriously considered switching to archaeology and taking more languages during my undergrad, so I suppose my trajectory could easily have turned in different directions. I did have an interest in what I now know as "esotericism" from before entering university, though, and it was that interest that initially brought me into religious studies. At the same time I've been nerding on pop-science since early childhood, and virtually all my philosophy papers went into epistemology and the philosophy of science somehow. So there has been a certain tendency from the beginning, that continues into my most recent work. EDW: Something that I always find interesting is to discover where a scholars' own fascination with their subject actually comes from, and that being the case I'd like to ask you where you first developed your interest in Western esotericism; did you come from what Dr. Robert Mathiesen has termed an "esoteric family" (as I did) or did you develop this interest independently ? I think it came from several sources that conspired to nod me towards this unusual field. But one important source was no doubt role-playing games [RPGs]. We played lots of stuff, but the "World of Darkness"-series from White Wolf was the most influential. I remember doing a lot of research into the history of esotericism as a storyteller for games such as Mage: The Ascension and Vampire: The Dark Ages –– probably a lot more work on this than on my homework. In the late teens I started reading up on several different avenues of Western esotericism, and mostly ancient stuff. The Nag Hammadi library, the New Testament apocrypha, the Hermetica –– a lot of that was being released in Norwegian translations at the time. I also ended up reading a lot of cheap second-hand Rudolf Steiner books for some reason. Then there was the inevitable discovery of the [Hermetic Order of the] Golden Dawn and everything that comes with that. I was familiar with a good chunk of relevant literature before entering university and making an academic study out of these things, but I hadn't been primed by any family involvement or even friends with esoteric interests. I was pretty much on my own in pursuing this beyond popular culture and RPGs, and it was all pretty eclectic. EDW: Do you situate yourself as an etic outsider to the field that you study, or do you instead possess the emic perspective of an insider ? Well to begin with I would distinguish the emic/etic distinction from the insider/outsider distinction. As far as I'm concerned, those point to separate issues that are too often being confounded, causing some muddled discussions. I've not been a proper "insider" of everything that I've studied –– indeed that would've been difficult seeing that it spansfrom kabbalah to parapsychology to right-wing extremism to ritual magic to transhumanism. Being an insider to all of that I'd be a mightily confused individual. But as any good scholar should do, I always attempt to get as good a grasp of "emic" terms and meanings as possible when I write about a specific group. That's a question of good methodology. But I do believe that remaining there, on the emic level, is a rather pointless exercise - not to mention an impossible task, if we're going to be very strict about it. The aim in the end must be to do something academically useful and theoretically interesting with the material, and that eventually requires "translating" to, and analysing through, "etic" terminology. But lets not forget that, in practice, etic is acad-emic. Dr. Asprem's wonderful PhD cover. 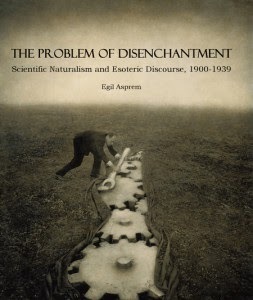 EDW: Your PhD thesis was on the subject of "The Problem of Disenchantment: Scientific Naturalism and Esoteric Discourse, 1900-1939", in which you undertook a critical exploration of Max Weber's famous claims regarding "the disenchantment of the world". Could you tell us a little about this particular project, and are there any plans to publish this piece of research ? I signed a book contract for it in the spring. Making the required revisions have taken time, though, but hopefully it will appear in print by next summer. EDW: Back in 2012, SUNY Press published your first book, Arguing with Angels: Enochian Magic and Modern Occulture. Could you tell us about this particular project and how it came to fruition? Is the subject of Dr. John Dee and the Enochian system of angelic magic which he pioneered something that you would like to return to in your research ? This is an example of an interest I'd had since my late teens, when I first came across the enochian material, collected all information I could find and lurked on various obscure web forums and e-lists. When I started my MA in Amsterdam, I finally had the time to "get to the bottom" of what this was all about. Arguing with Angels is a product of that work. While the book was published in 2012, most of the research was completed already by 2008, so for me this is pretty ancient work by now. There is a chance I will revisit Dr. Dee and his associates at some point, but it's likely to be for different reasons than the history of enochian angel magic. For instance, I didn't get to do satisfactory work on [Edward] Kelly and the other scryers last time. I'm much more interested in this formative dimension now. EDW: This year, Equinox Publishing is bringing out an academic anthology edited by yourself alongside Dr. Kennet Granholm. Titled Contemporary Esotericism, it contains contributions from a wide range of scholars active in the field, among them big names like Wouter Hanegraaff and Christopher Partridge. As someone with a research interest in the occult groups that arose post-1950, I'm very much glad to see the more recent stuff getting the attention that it deserves, so I would be interested to learn how this particular project got going ? Kennet and I started jotting down plans on this project in a bar in Amsterdam on the very night that we returned from the second biannual ESSWE conference, in Strasbourg, in 2009. We both felt that contemporary esotericism was insufficiently studied thus far. Some experiences at the Strasbourg conference made us aware that some serious nudging was needed in order to bring the historically oriented core of the society to embrace or even just interact with the social-scientific approaches necessary for studying contemporary phenomena. So we sat down and drew up a wish-list of authors linked with topics we knew they were great at and wanted them to write about, with the intention of collecting a volume that would demonstrate the sheer breadth of stuff that one has to look at, and also introduce some of the key theoretical discussions we need to have to account for this. Almost all of our first choices accepted invitation, and we got a selection of articles we were very pleased with. But even though we are happy with the way this volume has turned out, we are painfully aware that it is only a small step. What the book covers of important topics is far outmatched by what it leaves out. Kennet and I would be the first to acknowledge this, and we did so in the introduction to the book as well as at the First International Conference on Contemporary Esotericism in Stockholm last year, where the book was officially launched. There's definitely much work to be done in this field. We hope that the book, the conference, and the ContERN network we co-ordinate can help inspire more such work. 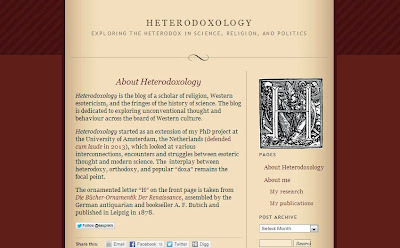 EDW: Like myself, you have embraced the role of social media as a means of interacting with a much wider range of people who have an interest in scholarship and academia; not only have you got your own Twitter and Academia.edu accounts, but you also have your own blog, Heterodoxology: Exploring the Heterodox in Science, Religion, and Politics. This being the case, I wondered what your views were on the power of social media and blogs for scholarly outreach ? I think it's a great resource. Not just as another channel for dissemination, though, but as a form of scholarly praxis as well. I was better at this when I first started Heterodoxology back in 2010, but writing blogs can be a great way to try out ideas and "think on paper" - and in dialogue with a community. In my experience this complements both research and teaching quite well, in addition to creating some visibility for your work. Dr. Asprem's blog, Heterodoxology - check it out! EDW: Have you noticed any significant increase in the amount of attention that your research has received as a result of Heterodoxology and those other ventures ? Well yes, these channels certainly are important for outreach too. 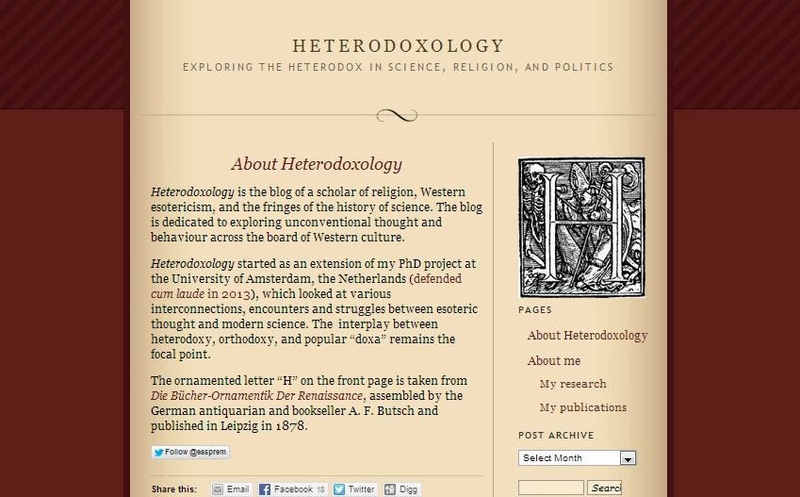 Heterodoxology put me in touch with some of the HistSci blog community at a crucial phase in my PhD research, which was important since I needed external support in that field being technically in a religious studies department myself. More recently, Academia.edu has proved very good for disseminating papers, articles and reviews to people who would not otherwise have had access. That is massively important. For example, a conference paper that would otherwise only have had a couple dozen listeners at the conference itself (at least 2/3s of whom would forget by the end of the evening), and maybe another dozen readers through ridiculously expensive conference proceedings, can now get hundreds of readers through Academia.edu. Both scholars and non-scholars. A recent paper I uploaded led to some great comments and corrections from peers whom I did not know but had come across it, and eventually it was picked up by a couple of editors for magazines who wanted spin-off articles. Social media can thus further academic collaboration and exchange (which is sadly hindered rather than promoted by some key structures in academic dissemination at the moment), and is also a great tool for diminishing the distance between academic knowledge production and more "traditional" media for popularization. The combination of social media, research blogging, and open-access publishing is the most forward-looking trend in academic text production and dissemination at the moment, in my opinion. EDW: Do you think that smaller, more specialised fields like the academic study of Western esotericism have to rely on these outlets to a greater extent than bigger, well-established fields ? At least I think the strategic advantage we gain is larger than what some established disciplines get by investing in it. Whether they are more essential to us or not in the longer run is hard to say, and depends on many other factors. But we certainly have nothing to lose on gained visibility and creating an online academic community. EDW: Since 2010, you have been on the board of the European Society for the Study of Western Esotericism (ESSWE), and are currently serving as its treasurer and membership secretary. Along with Dr. Kennet Granholm you also run the Contemporary Esotericism Research Network (ContERN), which I understand is affiliated with ESSWE. I have heard many great things about the conferences run by these groups, although have unfortunately not been able to attend any so far. What role do you believe that these particular learned societies and the conferences that they run have for the academic study of Western esotericism ? The ESSWE has been absolutely essential to the field over the last decade. It's meant a lot to the professionalisation of research in Europe. The biannual conferences have provided a unique scene for building international connections, coordinating new projects, and so on. The Aries journal and the Aries Book Series are both published under the auspices of the ESSWE. Furthermore, and I think this is maybe the most important thing in the long run, the ESSWE has consistently attracted a lot of student members from a variety of disciplines - religious studies, anthropology, intellectual history, art history, philosophy, sociology, and so forth. These are people with a shared interest in esotericism, but without a professional framework for doing it. ESSWE gives them the connections they need to continue. In the longer run, this is how we build a new generation of scholars who may be working in a number of different disciplines, but who nevertheless share the same language for talking about Western esotericism, read some of the same journals, visit the same conferences, and know the same references. Without the work of organisations such as the ESSWE, esotericism would have been doomed to remain the interest of erudite amateurs without a shared language and without the collaborative effort to build new knowledge that characterises an academic field. I'm very excited to have been part of running this organisation for the past three years. And to answer the second part of your question, I think that the establishment of local groups (SNASWE, INASWE, CEEO-UNASUR) and thematic research networks (ContERN, NSEA, and the latest addition, WEAVE) is one of the most valuable new things coming out of ESSWE in recent years. Stimulating such initiatives further should in my opinion be a priority task for the future. There's lots of very interesting PhD dissertations being written out there at the moment. I'm especially looking forward to those. On the home front, I've been polishing up several old projects these past few months that should appear in print next year. But most of all I'm excited about starting an entirely new research project in December. I'm moving to Santa Barbara to work with Professor Ann Taves and her team out there, hoping to develop a deeper knowledge of some useful cognitive science and psychology of religion. I want to see how we can use this to reframe some old questions in esotericism research and take it new places. The plan is to devote the next two years solely to this project. So hopefully you won't see too many other publications from me in a few years. A question that I ask everyone in this interview series is where they think that their particular academic field is headed. 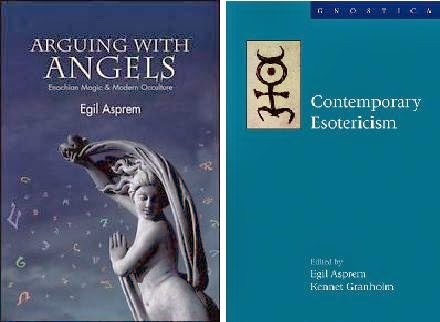 The academic study of Western esotericism now has departments devoted to it at the Universities of Amsterdam and Exeter, and there are currently two peer-reviewed journals dedicated to the subject, but do you think that this is a momentum that can be maintained considering the major economic changes that universities are now facing ? In particular, from the perspective of a professional academic, what role do you see for the independent scholar of Western esotericism in coming decades ? "Winter is coming" rings true for many academics today, and I think you're feeling it harder already in the UK than in the Netherlands and Scandinavia, which are the places I know best. But despite all that I think we should try to be optimists, and focus on the possibilities this field has. One of those is no doubt its interdisciplinarity. We often say this, but we could afford to think a bit more systematically about what it means. If played right, it means that scholars of esotericism –– or let's say, graduates from one of the few places that offer graduate programs –– can in theory work in a wide range of disciplines if they choose to stay in the academy. In fact, that's one of the few things a new student know for sure when they start a PhD in this field: most likely, there isn't going to be any position available what so ever that focus purely on esotericism. I don't think Wouter [Hanegraaff] is going to give up his position in Amsterdam any time soon, and who knows what's happening with Exeter. But that's okay, because an expert in esotericism will also have built research competence relevant for one or several more established disciplines –– history, religious studies, cultural studies, sociology, etc. This is precisely why all the collaborative, interdisciplinary, international work that is being done through organisations such as ESSWE is so important: as long as there are networks like this, specialists of various disciplines as well as independent scholars can continue to meet, exchange ideas and build this field together. That said, it is also evident that the future of the field is dependent on what the new generation of scholars chooses to do with it. That is my generation, our generation. Will we do things that continue to marginalize the field and work counter to professionalization? Or will we aim to thoroughly integrate what we do with the best and most cutting-edge research of whatever discipline they are working? Do we create an island, or build bridges? Needless to say I favour the latter approach. I think the future of esotericism is as an interdisciplinary field of research and study, rather than as a separate "discipline", with its own methods and theories. Its success hinges on our ability to make research relevant to all the disciplines we come in contact with. This is a discussion we'll continue to be having in the future, but the consequences of what we choose becoming quite clear I think. In the end it boils down to whether we want esotericism to be a university study or not. Dr Asprem, thank you for talking to Albion Calling today. You have given us all much to think about, and I wish you well in Santa Barbara! Great interview. It's always exciting and refreshing to hear what's happening regarding the academic study of Western Esotericism.